Modern, device-agnostic user interfaces and smarts apps enable a more effective and productive workforce. Instead of becoming frustrated with outdated user interfaces, users can efficiently and accurately complete the task at hand. Smart apps take this a step further and improve business processes, thereby adding real return to the bottom line. We are passionate about solving problems for our improving our customers' experiences with their SAP solutions. In many cases, SAP solutions are not being utilized in the most effective or efficient way and this causes end-user frustration, duplication of activities and data and unnecessarily high costs. We have been users, understand the problems, and focus on the business application of SAP rather than approaching it from an IT perspective. We are able to rapidly analyze how you are utilizing your SAP investment and identify opportunities for improvement and thus reduction of Total Cost of Ownership. We help design “mobile capable infrastructures”. Our service includes assessment tools and requirements analysis to ensure the relevant architectural building blocks and roadmaps are available. Additionally we provide best practices, taking cognizance of the SAP roadmap and latest mobility research available. We have a simple RDS-style approach to kick start mobile developments and leave your team equipped to deliver on further mobile solutions by delivering the key architectural plumbing for your organization. BPSE has internal test and demonstration systems through which customers can interact with common SAP mobility solutions including: SAP Work Manager (Syclo), SAP Mobile Platform (SMP), SAP Mobile Secure, SAP Web IDE. We also demonstrate 3rd party mobile SAP add-ons such as Neptune Software, Enosix and Alpha Software. We build mobile applications - from web, hybrid through to native solutions depending on your requirements. We follow an agile software development approach and provide a well-rounded team of architects, designers and developers to ensure success. The most common development service is our development of custom Fiori (UX) applications. We work with consulting partners and customers to deliver applications that can be resold as packaged solutions. Our clients get the benefit of working with our experienced team, getting a solution at a significantly reduced cost. We implement SAP mobility products - SAP Fiori, Syclo (Work Manager, Inventory Manager). BPSE provides detailed knowledge transfer to ensure your team is equipped to manage solutions once projects have been completed. BPSE software integration services range from MBaaS (Mobile Backend as a Service) through to messaging and channel integration services. We have experience in developing NetWeaver Gateway solutions and integrating solutions with MBaaS layers. We help clients wire their applications into their existing security infrastructure. From Single Sign-On, LDAP integration through to 3rd party authentication stores. 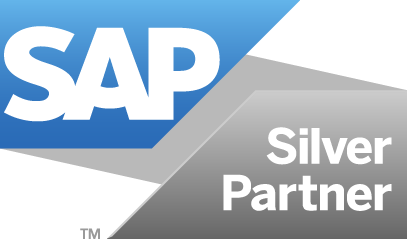 We implement SAP (SAP Client Hub) and third party products to integrate and secure your applications. We provide usability testing and ensure the heuristics of your custom applications align with best practices. From our development centre we undertake testing across multiple form factors and ensure you maximize the user experience. We provide tactical and strategic recommendations for your mobility team. Our go-live support services scale your own support services for periods of high activity (new mobile launches, peak periods) and provide detailed support and knowledge transfer services.